Passenger groups have welcomed new rail industry statistics that will measure punctuality to the minute at every stop, rather than at the final destination. The Rail Delivery Group, which represents train operating companies (TOCs) and Network Rail, has called the new punctuality measures ‘the most transparent of all major railways in Europe’. It said the new methodology, to be used from April, ‘better matches the real experience of customers in different markets' and gives TOCs more detailed information about delays, so they can understand and address the root causes. The current punctuality measure, known as the Public Performance Measure (PPM), considers a train to be ‘on time’ if it reaches its final destination within five or 10 minutes for short distance and long-distance services, respectively. Darren Shirley, chief executive of Campaign for Better Transport, suggested that the move could restore passengers’ faith in the industry. 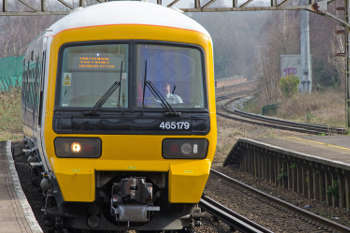 Anthony Smith, chief executive of watchdog Transport Focus, said: ‘Train timetables need to be a work of fact, not fiction. So, it is good to see train operators reporting true on time performance to the minute at every station. The RDG said TOCs will publish a spread of information about train punctuality: early, within a minute of the timetabled arrival or within three, five, 10 or 15 minutes and after 15, 20 or 30 minutes. The proportion of trains cancelled will also be shown. It saidd TOCs and Network Rail are already using the data to pinpoint issues that cause delays and improve punctuality.